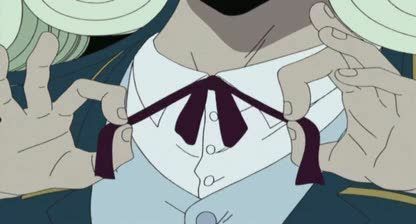 Stream anime episodes online for free, Watch One piece Episode 65 English version online and free episodes. Anime Episode guide One piece Episode 65 English dubbed Baroque Works” / “Explosion! The Three Swords Style! Zoro vs. Baroque Works! Nami who faked falling asleep as well, searches the town for the bounty hunters’ treasures. Meanwhile, Zoro lets loose on the bounty hunters the two new swords he received in Lougetown, Yubashiri and Sandai Kitetsu. After he defeats all of them, including the frontier agents Mr. 9, Miss Wednesday, Mr. 8, and Miss Monday, a new threat arrives, the Baroque Works officer agents Mr. 5 and Miss Valentine. Their mission is to eliminate two traitors, who know the true identity of the organization’s boss, Mr. 0. They reveal them to be Mr. 8, who is really Igaram, captain of the royal army of the Kingdom of Alabasta, and Miss Wednesday, who is actually Alabasta’s crown princess, Nefeltari Vivi.